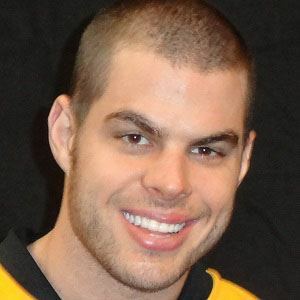 NHL right wing who began his career with the Florida Panthers, then spent three seasons with the Boston Bruins and a year and a half with the Columbus Blue Jackets before a 2015 trade sent him to the Toronto Maple Leafs. In his first year with the Panthers, he became the first NHL rookie to score a goal on a penalty shot. He immediately made an impact after being traded to the Bruins, scoring the second most goals on the team in his first season there, and helping the team win the 2010-2011 Stanley Cup Championship. He married model Tammy Plante, and the couple had two sons together, Dylan and Zachary. His wife was a descendant of NHL royalty: the great-niece of former goaltender Jacques Plante.